Wikipedia is too complicated for many people to modify despite billing itself as "the free encyclopaedia that anyone can edit", its founder has said. Jimmy Wales told BBC News the site wants a new generation of contributors, including more women. 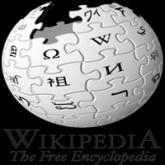 The online encyclopaedia, which is 10 years old on 15 January, is the world's fifth most popular site. It aims to increase its users from 400m to 1bn by 2015. But growth requires a new interface, said Mr Wales. "We have to support our old power users because they build the site," he said. "But we also need to have a ramp for new users." He said a lot of people were "afraid" to contribute to the site by the sometimes complicated code - known as Wiki mark-up - needed to format entries. "If you click edit and you see some Wiki syntax and some bizarre table structure - a lot of people are literally afraid. "They're good people and they don't want to break something. As well as initiatives such as "adopt a user", that allows experienced Wikipedians to take a new user under their wing, he said his for-profit company Wikia had been doing a lot of work designing simple "what you see is what you get" editing tools. "We're releasing all of that open source and Wikipedia will probably adopt some of that." However, Mr Wales said that one change he would not make would be to the site's financial model. It currently operates as a not-for-profit organisation funded by donations from its users. "We have just finished our fundraiser for the year - we raised $16m (£10m) faster than we have ever done it before," he said. For many, Mr Wales' face will be familiar from banners that have been running on the site promoting the appeal. Mr Wales said that he had tried to resist using his picture, but user testing had shown the organisation received more money by using his face. "Those banners outperformed the other ones two-to-one," he said. "I think maybe because no-one wants to see my ugly mug anymore. People thought: 'let's give the guy the money so he'll go away'." He said the donation model was "very stable" but admitted it did "constrain" what the site could do. "We don't have a lot of money - we are running a website with 408m visitors on just over $20m," he said. "I think we're the most efficient charity there is by a long shot in terms of the number of people we impact for a small amount of money." However, he said that he was not tempted to turn it into a commercial venture to pull in more money. "If you look at pressures that commercial ventures would be under - suddenly there is a need to produce quarterly results, suddenly there is a need to bring in money." He admitted the site could run as a non-profit supported by advertisements, but again said that there were no plans to make changes. "Our view has always been we can always do that if we need to." Mr Wales also used the interview to clear up the organisation's perceived association with the whistle-blowing organisation Wikileaks. "The core of their work is not about Wiki at all - Wiki is a collaborative editing process, it's a group of people coming together to collaboratively write something. And what Wikileaks is doing is getting documents and leaking them." However, he said, many people get confused - including airport security, he said. But the two still have a loose association. Technically, the Wikia company has until this week legally owned domain names including wikileaks.net, wikileaks.com and wikileaks.us. "We transferred the domains to them but they never completed the technical part," said Mr Wales. "All they needed to do was sign in and complete the transfer but they have never done it." He said the domains had been registered "defensively" when Wikileaks launched in 2006. "When they first launched they put out a press release that said the 'Wikipedia of secrets', which would have been a trademark violation. "So someone in the office registered two or three domains." He said that he regularly tries to prompt Wikileaks' founder Julian Assange to complete the transaction, to no avail. "I saw someone else say that he's prone to saying 'I'm busy fighting superpowers' and that's exactly what he said to me." Mr Wales said the domains would expire "this week". "I'm not renewing them," said Mr Wales. "We may ping them and say they are loose."